The Porte d'Aude (formerly the Toulouse door) was opened in the twelfth century. 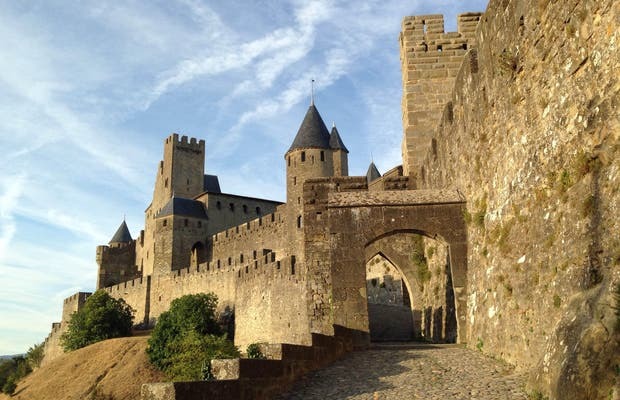 It goes towards the Aude river, on the west side of the wall through one of the most rugged areas, where fortified access was more difficult. A long trail leads from the river to the first archway and although there isn't a door nor moat and drawbridge, it wasn't at all easy to get into the city. The road is full of curves and is defended from various doors where archers could stand.